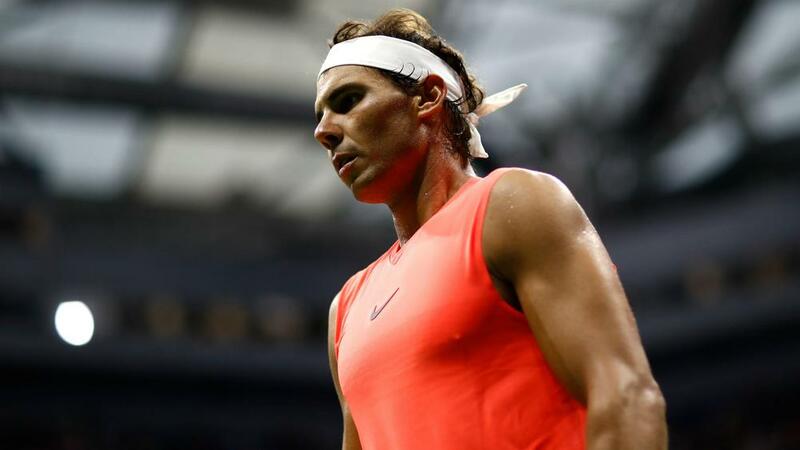 Rafael Nadal remained tight-lipped on an apparent injury scare after coming through a gruelling third-round encounter with Karen Khachanov at the US Open. Defending champion Nadal needed more than four hours to edge out the 22-year-old Russian 5-7 7-5 7-6 (9-7) 7-6 (7-3) on Arthur Ashe Stadium. The Spaniard also had his right knee heavily strapped and television footage showed him flexing the joint prior to his match. In a post-match news conference, Nadal was asked: "How is your body feeling right now, especially your knee?" "[It was] just something that I felt, but I try always during the tournaments to not speak much about these kind of things," the top seed replied. "When the tournament is over, [it] is better and easier to talk. "But my personal feeling is I am going to be at my 100 per cent for the next one [a fourth-round clash with Nikoloz Basilashvili]." Nadal backed his vanquished opponent, who came into this tournament boasting a career-high ranking of 26th, to enjoy plentiful future success. "He's improving always. He's young. He has everything," said Nadal of Khachanov. "He's a great player. I really see him winning a lot of matches in his tennis career, no? He has a lot of good things. He has a great future to come. "He had a great attitude on court during the whole time, playing four hours 20 [minutes], fighting all the time, playing aggressive, playing great tennis, having some mistakes at some important moments, too, but without saying a bad word. "That's a great thing for tennis, and that's a great thing for him. With that attitude, I am sure he will have a lot of success."